How festive is your phone? Cool Christmas wallpaper on? Definitely. 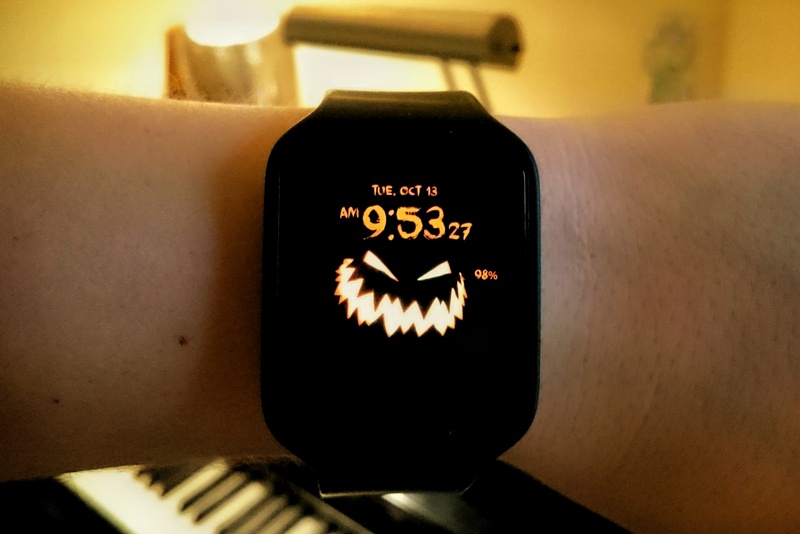 Christmas watch face sent to your wrist? Check. Snowglobes all over your Facebook messenger? Sure. How about your keyboard? Uh. Whaaaaaaaaaaaaaaa! You tellin' me you ain't decked your keyboard with boughs of holly yet?! It's time we took care of that. Yes, right now. Don't tell me you'll do it tomorrow. That's 24 hours you could spend looking at jolly reindeers and gift packs and cold wintery landscapes in your keyboard's background. Type "yes." You can do it. Yes. 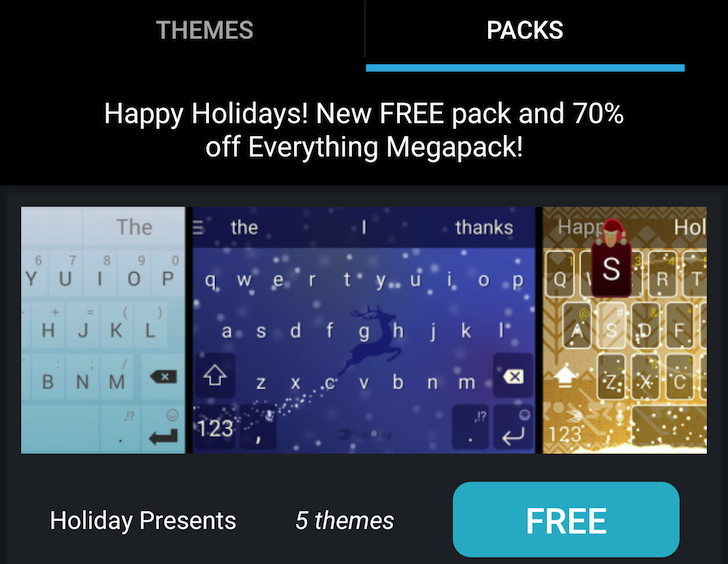 SwiftKey is taking care of you this season so you don't have to shell out any money to dress up your keyboard.